The students are learning about how the eye/brain perceives motion in Science class. TV, movie, and animations are made up of still images. The eye/brain perceives motion because the frames are moving past at a rate that makes the black space negligible (eHow). 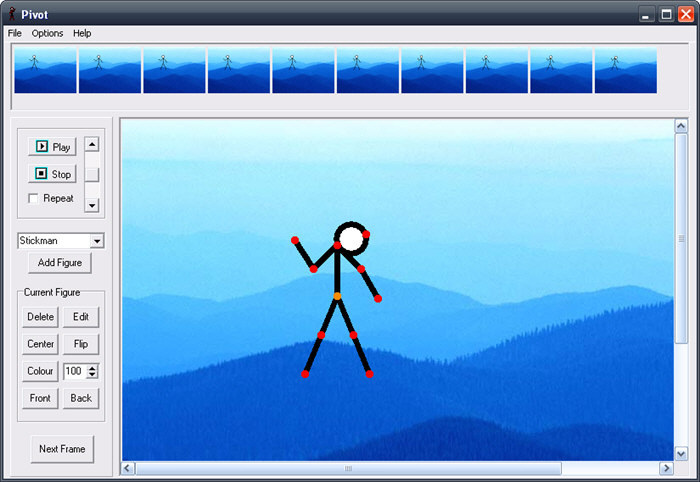 Today students will use an application called Pivot Stickfigures to make frame by frame animations. Pivot is a free downloadable application. Don't forget to keep track of your image citations! Here are some sources to get good public domain and creative commons images. I especially like these sites because the site will provide the proper citation for many of the images. Once you have added a picture, you can double click on the image to get the "Picture Tools" ribbon. Then you can crop a picture, change the picture style, or make adjustments.